Even i am thinking of getting a tattoo done soon! 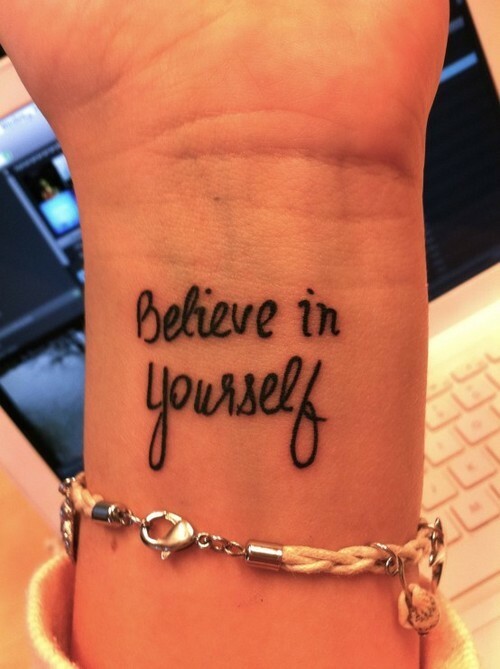 I love the 'believe in yourself'! omg, me too! i think the one in wrist is the best! but it must be written by sth really meaningful ! Yes it should be meaningful, maybe a small quote or something. If you want it noticed maybe the wrist. Even if you don't want it noticed that much the wrist is a pretty place.